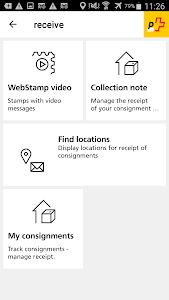 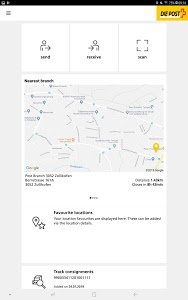 PLEASE NOTE: Your consignment numbers entered in the previous version of the Post-App (version 4.x) are not transferred automatically to the new app (version 5.x). 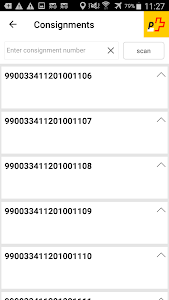 They must be entered manually. 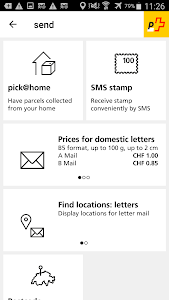 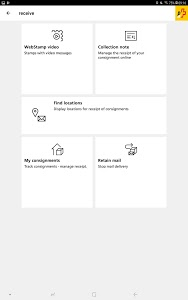 With [email protected], the parcel carrier collects your consignment from your home or another address (Swiss Post login required). 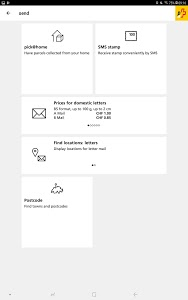 No stamp at hand? 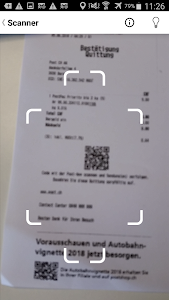 Simply send an SMS containing the word “STAMP” to 414, write the code you receive on the right-hand side of the envelope and you’re done. 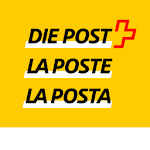 Fast and easy access to Swiss Post Customer Service. 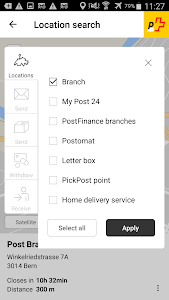 Configure the Post-App to suit your needs. 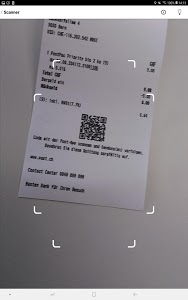 The Post-App is available in four languages (EN, DE, FR, IT) and the language adapts itself automatically to the Smartphones system language. 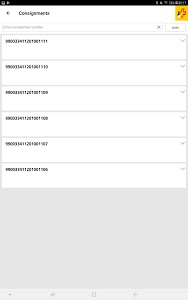 This can be changed in the Android settings. 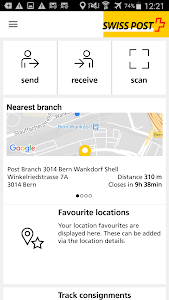 Similar to "Swiss Post App"